Learn how to use the new Type Tool and Essential Graphics panel in Adobe Premiere Pro CC. With the 2017.1 update of Adobe Premiere Pro, you can more easily and efficiently create and edit title graphics. You can even use templates that are pre-installed or create templates of your own. This can potentially replace graphic templates you would have had to create in After Effects and use the Live Text Templates feature to do before. We’ll walk you through everything you need to know in this tutorial. 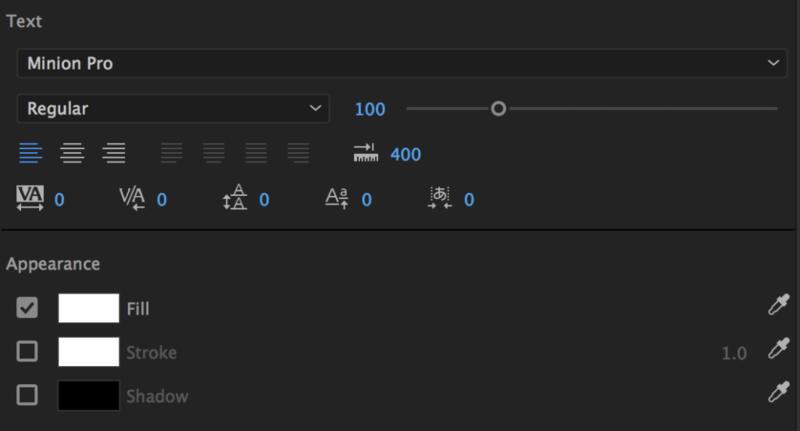 You’ll notice a new ‘T’ type tool in your Adobe Premiere Pro tools panel. Click on this tool, then click directly in the program monitor to start a new title. The effects controls panel should pop open, and you’ll notice a new ‘title’ applied to your new layer. This graphic clip appears on top of your video footage in the timeline where your playhead was. While you could edit your title properties (font, size, etc.) in the effects controls panel, we’re going to skip that and do it another way. The Essential Graphics panel is a new one. Go up to Window > Essential Graphics to open this new panel. In the Essential Graphics panel are two tabs – Browse & Edit. Click the Edit tab to see your text Align and Transform properties. You have alignment, scale, rotation, anchor point and opacity settings. Click and drag to the right or left on any of the blue numbers to adjust the setting. Or you can click the Selection Tool in your tools panel, then adjust your text right within the Program Monitor. Or, click on the edges or corners to adjust the size. Click and drag the text layer from the middle to adjust the position. Click just outside the corner to rotate. Click and drag the circle/plus sign thingy to adjust the anchor point. Below those settings is an option called Master Styles. 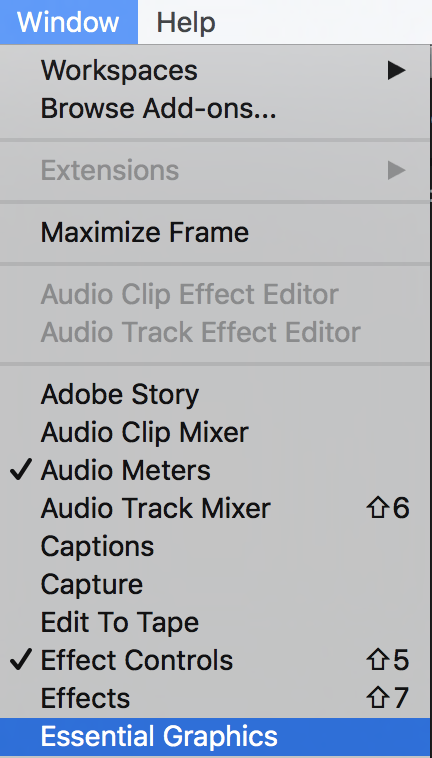 This is one of my personal favorite things about the new titles in Adobe Premier Pro. 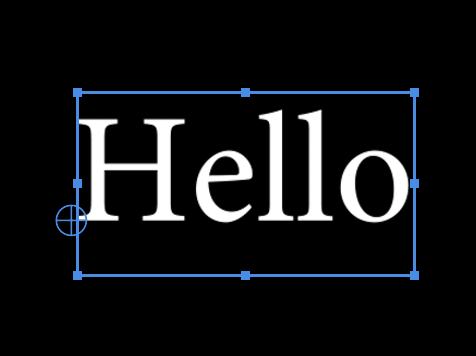 With Master Styles, you can create custom text styles (think font, size, stroke, shadow, color, etc.) that can be quickly applied to any other text layer in your current of future project. This makes coming up with a branded style so much easier and efficient across projects! To save a Master Style, after designing titles the way you’d like click the drop-down button under Master Styles, and click Create Master Text Style. 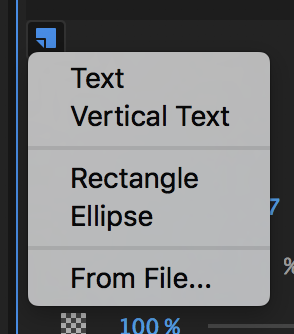 At the bottom of the Essential Graphics panel are your standard text style options including: paragraph alignment, font size, leading, kerning, tracking, baseline shift, font, font style, etc. Just click and drag left or right, or enter a specific number to adjust these settings. Below that are your appearance settings: fill, stroke, and shadow. Click the check-box on the left to turn these on or off. Click the color box to the right of the check box to change the color. You can use the eyedropper tool to select a color from your project. With this graphic clip opened in the Essential Graphics panel, click the new item button. Choose from the drop-down menu – text, vertical text, rectangle, ellipse, or from file (this option allows you to add images to your title layers – great for lower thirds, branded title cards). Once you click any of these options, a new layer will open in your program window that you can edit. You can also create a new text layer in this graphic clip by using the text tool to click on the program monitor, just as you did to create your first title. As you add new layers to the clip, you’ll see them appear in the Essential Graphics panel. Rearrange them by clicking and dragging them up or down. You can copy and paste or duplicate (option-dragging on Mac or alt-dragging on a PC) your graphic clips on your timeline to create a new copy. Edit the second copy by simply making any adjustments to the style or text. 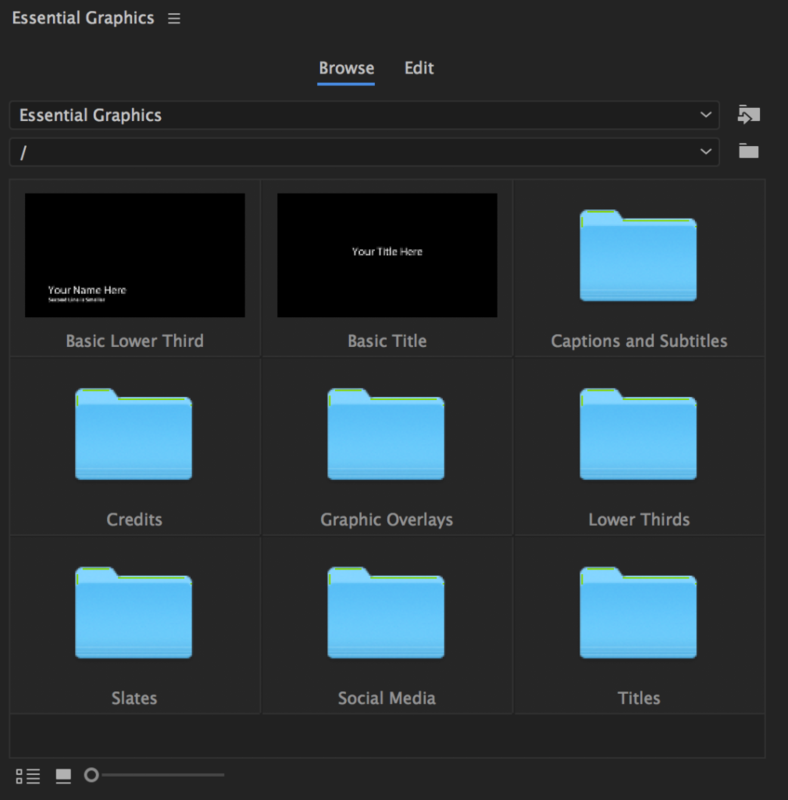 The new Essential Graphics panel has a Browse tab that contains multiple pre-installed templates. Click the folders to view templates. Drag a template onto your timeline to use it. It may take a short while for it to load. You can make edits to the template via the Essential Graphics panel or the effects control panel. Changes to animations would be done in the effects control panel, where you’ll see keyframes to the animated aspects of the graphic template. Watch the tutorial to learn how to create and use keyframes. You can create your own graphic templates (with motion or without) in Adobe Premiere Pro. The first step is to create your title / motion graphic. Add any text or shape layers. Change the style, size, or position. Add animations using keyframes. Choose to save it in the Essential Graphics folder so that it shows up in the panel. Once saved, it should appear in the Essential Graphics panel under the Browse tab. You can now organize your created graphics in folders in the Browse tab. These templates can be used from project to project! This is my second favorite (maybe tied with first favorite) thing about the new Essential Graphics panel. 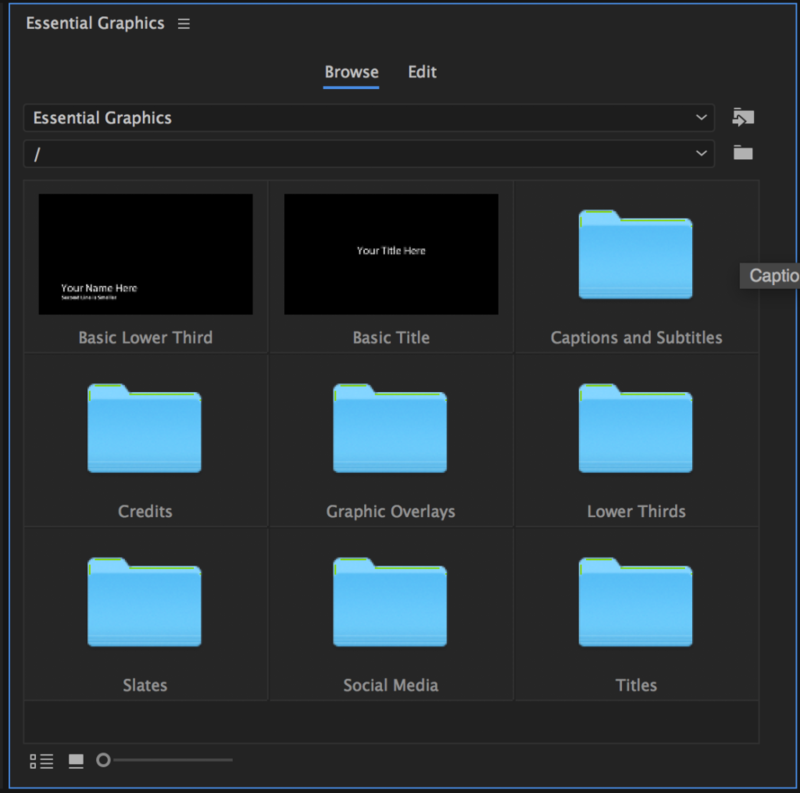 Now you know how to create and edit titles in the new Essential Graphics panel of Adobe Premiere Pro CC. I believe this is just the next step in making Premiere Pro more of an all-in-one program where you can create sophisticated graphics and do color correcting (via the Lumetri Color Panel). Perhaps even more updates to their audio editing features! If you have any questions, post them below in the comments. Interested in more Adobe Premiere Pro tutorials? Enroll in the full Adobe Premiere Pro CC course (great for beginners). You can enroll right here on Video School Online or on Udemy. Also check out all of our other Video Production courses to learn more about making videos.